The bed, the most important piece of hotel room furniture. 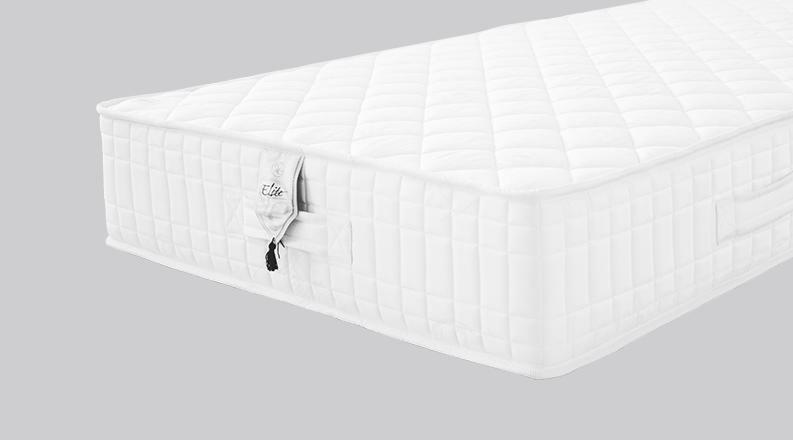 Elite has developed a range of mattresses and mattress toppers especially for hotels. Because of the intensive use, these must be made of very strong materials to ensure a decent life expectancy but must also ensure constant comfort and well-being throughout its useful life. They must be made with fireproof materials to meet the strict standards of hotels while at the same time using natural materials as much as possible. All these criteria and more are combined in the mattresses and mattress toppers of the Hotelite range. MATTRESSES Our outstanding Swiss quality products are specifically designed for hotels. Our outstanding Swiss quality products are specifically designed for hotels. 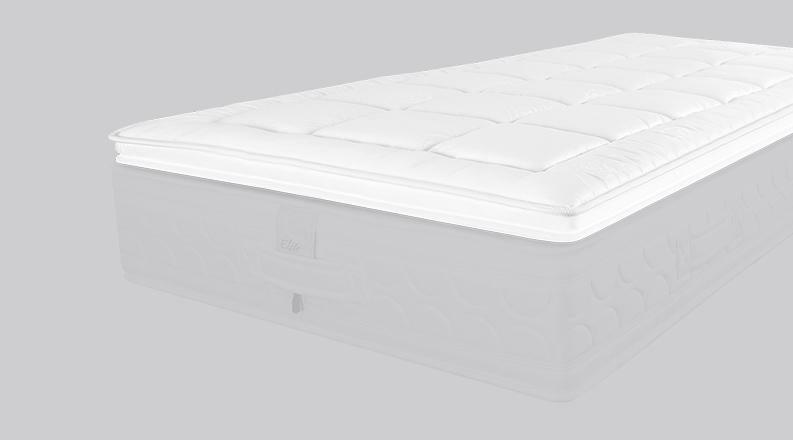 Thanks to the high-low technique of the centre core, and the dual layer of mini-springs, this mattress provides a soft reception with an integrated mattress topper system while ensuring dynamic support. Progressive comfort with a soft first touch for lighter people while providing a tonic support for heavier people. With 340 pocket springs per square metre, this mattress combines both tonic support and, thanks to its layers of memory foam, a soft reception. This mattress has been the favourite of the largest hotels for generations; it ensures great comfort combined with very good back support. With a more firm and tonic face for heavier people and a softer and giving face for lighter people, this mattress is able to adapt to all body types. The palace gold or silver not only meets fire standards but is also stain resistant. Two colours to choose from. A zipper to assemble two mattresses and ensure comfort. Indicator facilitates the periodic turning of mattresses. 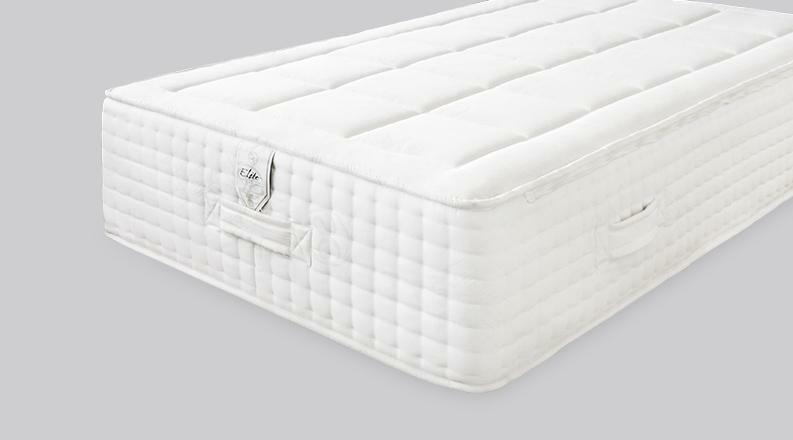 The unique feeling of sleeping on a cloud With its core of mini-pocket springs and its natural padding, this mattress topper heightens all comfort and guarantees outstanding nights. Your guests will feel better than at home. Its viscoelastic foam core adapts to the morphology of the sleeper and so this model ensures a harmonious anatomical fit. It is further enhanced by a Watergel® layer, the revolutionary, ultra-breathable foam that creates a pleasant floating sensation. Filled with pure new sheep´s wool, this mattress topper gives the sensation of a cosy surface while meeting the firmness of the mattress supporting it. It ensures perfect thermal regulation. Your guests will appreciate the exquisite softness of this mattress topper. They will feel perfectly relaxed in this cocoon made of down and duck feathers. Luxury right to the base of the bed! Filled with 100% hypoallergenic hollow polyester fibres. 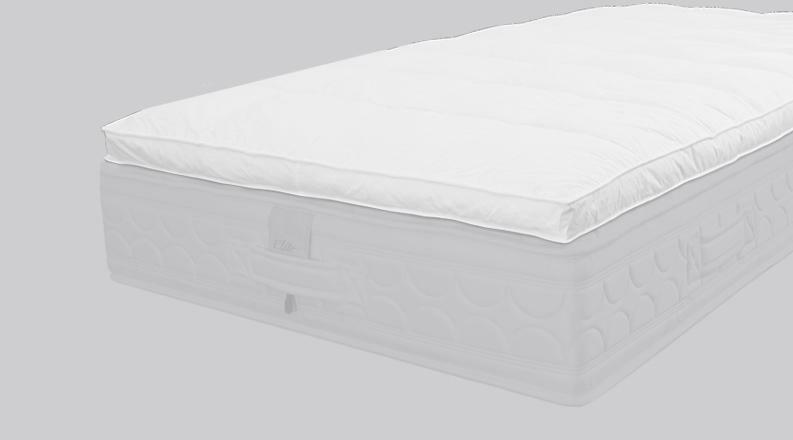 The Platine provides a soft reception and adapts to all types of mattresses. Washable at 60°C, it ensures perfect bed hygiene. Increasingly in high-end hotels, clients expect soft, cosy comfort, perfectly in harmony with the concept of relaxation, well-being, and a restful stay providing a necessary interlude in a stressful life . The mattress topper has this relaxing role and will ensure an unforgettable stay for guests who will associate comfort and relaxation with your establishment. They will not want to go elsewhere! Our mattress toppers are designed to be perfectly secured to our mattresses. 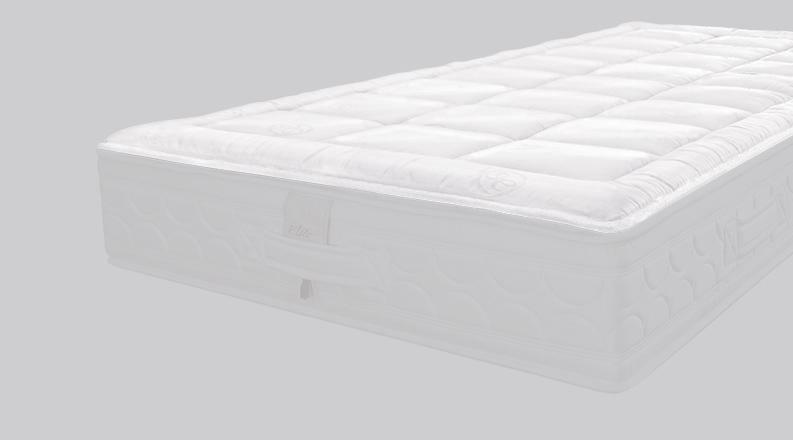 The zipper keeps the mattress topper aligned with the mattress for better comfort. The outstanding Swiss quality products, specifically designed for hotels. Our sales representatives will come to meet you to discuss your needs and the best way to optimise your customer experience.